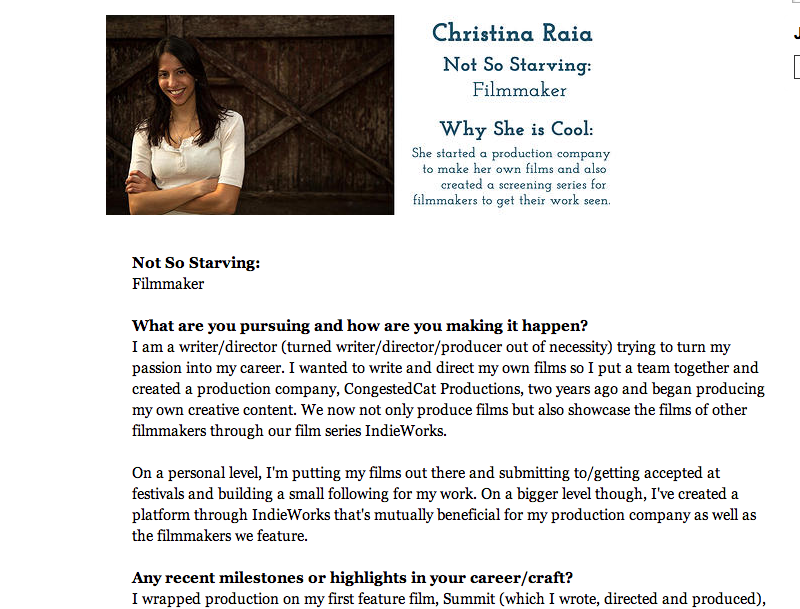 The new site that acts as a resource for independent filmmakers trying to thrive, not just survive, in NYC asked Christina to be there Artist Spotlight for their launch. Along with the honor came an interview. Read what Christina had to say on the site.